When Alabama State Sen. Tom Whatley from Auburn spoke with OANow in late March, he described his bill, SB 228, as a “go-to-war bill.” The bill would have allowed Opelika Power Services (OPS) to expand its Fiber-to-the-Home (FTTH) services to his community. On Wednesday, April 5th, his colleagues in the Senate Transportation and Energy Committee decided to end the conflict in favor of AT&T and its army of lobbyists. The final vote, according to the committee legislative assistant, was 7 - 6 against the bill. She described the vote as bipartisan, although the roll call isn’t posted yet, so we have not been able to confirm. Whatley has introduced several bills this session and in previous legislative sessions to allow OPS to expand beyond the state imposed barriers to offer services in Lee County. Alabama law doesn’t allow OPS, or any other municipal provider, to offer advanced telecommunications services outside city limits. SB 228 would allow Opelika and others (described as a “Class 6 municipalities”) to offer services throughout the counties in which they reside. A companion bill in the House, HB 375, is sitting in the House Commerce and Small Business Committee. AT&T’s lobbyists aren’t the only big money opponents facing off with Whatley. The Taxpayer’s Protection Alliance (TPA), one of the many organizations backed by billionaire Koch brothers, has popped up in Alabama to help the national telecom. Per its usual modus operandi, TPA has published several opinion pieces in the local news to spread misinformation. Mayor Gary Fuller of Opelika has stayed on task. We profiled one of his op-eds in early March, in which he corrected the many errors and lies spread by an article about another sloppy TPA report. In a more recent piece in OANow, Mayor Fuller tells the story of how Opelika came to own and operate the public’s gigabit FTTH network. In a thoughtful and logical article, he explains how the community became a reluctant provider due to lack of investment and poor service from the monopoly cable provider. He describes a community that took control of their own destiny rather than taking it on the chin from one of the companies that write checks for the TPA. And, once again, Mayor Fuller addresses the misinformation spread by the TPA about how the network was funded, how much it cost, and how it has impacted the community. He counters unproven statements with facts and supplies the numbers to back them up. Mayor Fuller describes how Opelika’s investment has injected the community with job growth, better response from area private providers, and the kind of connectivity the town needs to stay competitive. The city’s bond rating has risen. the economy is expanding, and finances are looking good. Clearly, the investment in fiber infrastructure investment was a good decision. For nearly two decades, AT&T, Comcast, Time Warner Cable and Charter Communications have spent millions of dollars to lobby state legislatures, influence elections and buy research to stop the spread of public Internet services that often offer faster speeds and cheaper rates. These companies have succeeded in getting laws passed in 20 states that ban or restrict municipalities from offering Internet to residents. Now that such laws are in place, elected officials need to step up and fix a system that prevents municipal networks from expanding to neighbors who want and need service from communities willing to help them, like Opelika. Destroying bills in committee to protect incumbents is not a good way to start. 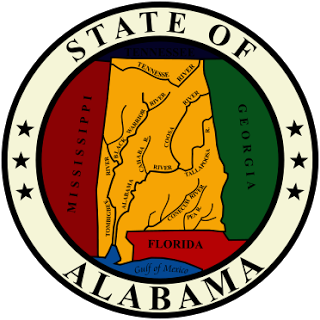 In Alabama, as in most states, the state legislature reviews proposals via the committee process. Bills like SB 228 can be killed in committee or pass through to be taken up by the full body, then the House, and eventually the Governor. Committee hearings are a key component to the democratic process. In the Alabama State Senate, there are two rooms where committee meetings occur that enable audio live streaming. If a committee chair feels the bills they will discuss should be livestreamed, the committee will meet in either room 727 or 807. If Alabamans want to witness their Senators engage in the process of democracy at the committee level and are not able to watch the livestream or are interested in viewing some other bill discussion, they need to make the journey to Montgomery and attend a committee hearing in person. We contacted the folks at Legislative Audio and Video Service who told us that there is “no technology in the legislature to archive any audio or video files. Nor is there any transcription service.” Consequently, we were not able to review the hearing to determine what was said or by whom at the time we published this story. As we attempt to follow the development of bills in different states, we see the wide spectrum of access to democracy at the state level. In some places hearings are routinely livestreamed and archived, either video or audio, which should be the normal practice in every state. Constituents should be able to know what their elected officials say at committee meetings and how they vote on specific measures. Not all Representatives or Senators make speeches during chamber debate and if a decision is made on a voice vote, a citizen may never know if their elected official is representing their interests or the interests of lobbyists like AT&T, Comcast, or the billionaire Koch Brothers. There are decisions made in Montgomery that affect people across the state and many don’t have the opportunity to go to the Capitol to be physically present for committee meetings. People in Alabama have responsibilities and committee schedules are unpredictable. Even if they make the long trek to the Capitol, they may find that a bill they want to see discussed in a hearing has been rescheduled to another day - a wasted trip. Alabamans should, at the very least, have the opportunity to read a transcript after the fact to know what went on in committee about issues they care about. In 2017, however, recording and archiving committee meetings so voters know what they're getting from elected officials is a small ask in a democratic society.